Red Wing Richmond: A Richmond Original! 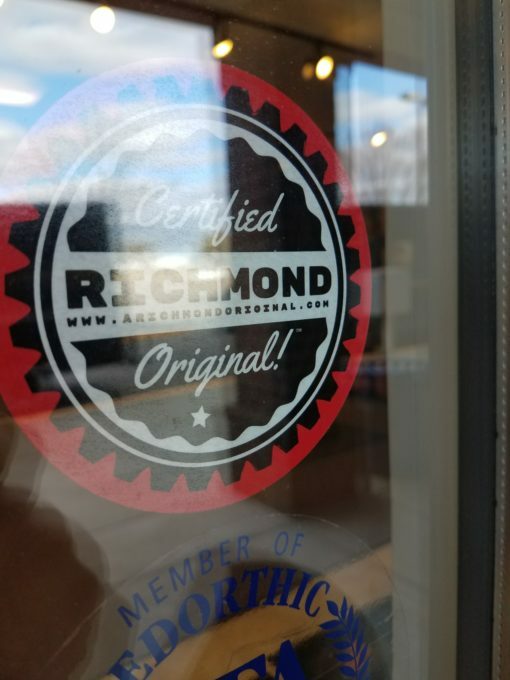 Our stores are Richmond originals! By now, you no doubt know that Red Wing Shoes is globally renown for its quality craftsmanship in work boots. What you might not know is that your local Red Wing stores are actually that – local! Our Red Wing Shoe store is independently owned, and the folks work in all three of our awesome Red Wing stores in the area have called Richmond home for generations. Since 1986, they’ve poured their blood, sweat, and tears into our stores (and Gardner’s Shoes,) and we wouldn’t have it any other way! The hard-earned dollars you spend on work boots at Red Wing Richmond, mostly stay in Richmond. They go to the many Richmonders that make up our excellent staff, and those folks spend it locally. That means tour money stays right here in the River city… and goes on to support other local businesses in RVA, strengthening our local economy. As we always say… work is our work! Don’t get us wrong – our corporate partners at Red Wing National are great! Their support is instrumental in providing all of Richmond with the best work boots in the world. That support, combined with our local knowledge and commitment to service after the sale, make our very local shoe store the best place in RVA to get your boots and work accessories. Contact Red Wing Richmond – A Richmond Original! While Red Wing is global, Red Wing Richmond is local… and we’d love to be your neighborhood shoe store. When you need the highest quality footwear in the world, we’re right down the street! So shop local – head up to one of our three RVA locations to get a free fitting for your next pair of work boots! Need help? Give us a call, send us a message on Facebook, or contact us online. We look forward to speaking with you!